The fourth edition of The Masters was held on 30 and 31 January at the ArenaMK in Milton Keynes. Michael van Gerwen retained his title by defeating Dave Chisnall in the final with 11-6. Both finalists overcame matchdarts earlier in the tournament. Chisnall came behind 0-8 in his first round match against Robert Thornton, but survived match darts and won 10-9. Michael van Gerwen also survived. He did this in the semi-final against Phil Taylor. 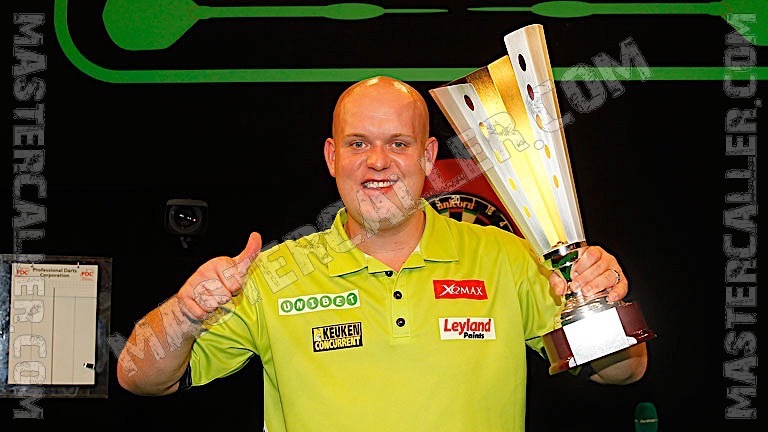 The Power missed seven match darts against the Dutchman who claimed his fourteenth major title with this victory.